Summer is uncontested in its popularity for travelers to St. Petersburg, Russia. Not only is the weather ideal for sightseeing, but also the long days and summer events create an energetic, festive atmosphere. Travel both within and outside the city is enjoyable. The downside to summer travel to St. Petersburg, or Peter, as the locals call it, is the crowds that choke the city’s pedestrian thoroughfares and contribute to long queues for major attractions. If you are planning to travel to St. Petersburg during the months of June, July, or August, advance planning is important. St. Petersburg’s weather during summer is typical for a destination in a northern latitude: Average highs are in the 70s F, though heat waves are not unheard of. Mornings and evenings might be slightly chilly, especially if you are traveling in late May and early June or late August and early September. While you will find summer clothes acceptable, you should bring less casual attire if you plan to enter Russian Orthodox churches, which require that men and women have their legs covered and women have their shoulders and hair covered. Evening concerts, which are prevalent during St. Petersburg’s White Nights, also require less casual attire than what would be worn for daytime sightseeing. It's smart to have a small umbrella handy for sudden showers. Pack layers to accommodate any chill in the air. Summer is the perfect time to visit St. Petersburg palaces or take a day trip from St. Petersburg. Many palaces or nearby attractions have gardens or outdoor spaces to enjoy, so while one person in your travel group scouts around to find how to buy tickets or where queues begin, the rest of your group can enjoy strolls in the open air. 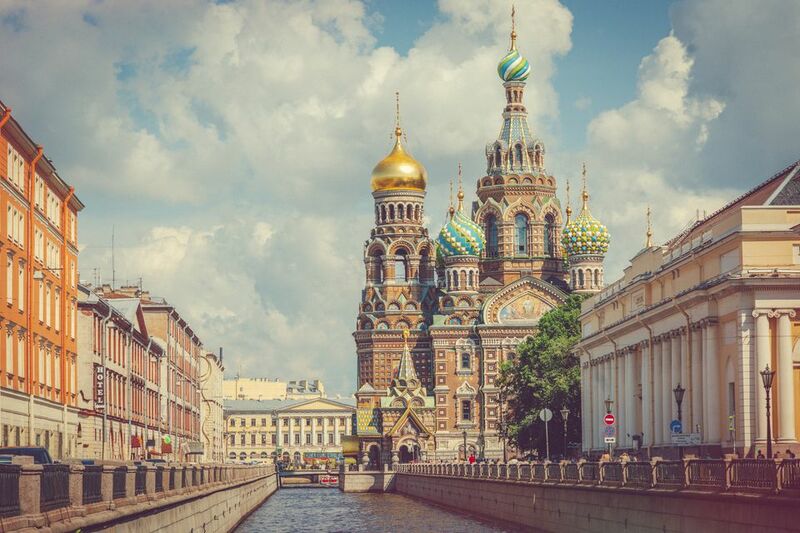 Additionally, don’t forget to check out St. Petersburg’s must-see sights, which include monuments and landmarks that have an integral place in Petersburg legend and history. They include the Bronze Horseman statue, the Church of Our Savior on the Spilt Blood, and the Peter and Paul Cathedral and Fortress. Visit the Hermitage Museum, which is Russia’s equivalent of the Louvre. This former palace houses collections of art and historic artifacts from all parts of the globe. The most popular event for summer in St. Petersburg is the White Nights Festival, which runs annually from about the beginning of June to mid-July, though the dates vary slightly from year to year. (In 2019, it begins on May 23 and runs through July 29). Though the classical music concerts that coincide with this time of year, when the days are at their longest, may be the most famous aspect of this festival, daytime events are organized around the city as well. Because summer is the busiest tourist season in St. Petersburg, you should book your hotel well in advance to guarantee the best deals, necessary amenities, and a good location. Visitors from the United States ​must have a visa to travel to Russia, which should be purchased well in advance of travel to avoid delays. In addition to booking a hotel early, equally important is planning other aspects of the trip well before you go. Because gaining entrance into some sites, such as museums and palaces, isn’t always straightforward and crowds can be formidable, make a list of the attractions you find most important to see along with some alternatives. Then find out how you can get to them, where the ticket offices are, and what the process is for purchasing tickets. You might also want to find out in advance if you will be able to use video or photo equipment while you are there.